In order to study of the craft of acting instead of the phenomena of the actor (funny how the two so often get confused in biopics…), Arnaud Desplechin’s intensely realized Esther Kahn skimps on showing off much charisma or glamour. That move might be off-putting to many viewers, since so many stage-set dramas lean on those qualities in their performers to draw in the audience, but because of the film’s intricately woven head-games, the gambit pays off. Establishing a relationship between the life that occurs onstage and off that’s deeper than few films outside of the oeuvre of Jacques Rivette, Esther Kahn poses a series of fundamental questions about the art of acting without ever quite answering any of them, but somehow it manages to feel satisfying nonetheless. 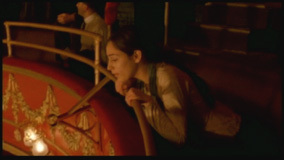 The early scenes, which show young Esther (Summer Phoenix) as a young Jewish Londoner who is entirely dissatisfied with the mundane nature of the “real world” and her family life, acutely trace her experiential development, using a fisheye lens to highlight the sensations that will one day be the foundation of her understanding of the world. Still, the presence of camera tricks and voiceover narration doesn’t quite explain exactly what it is that makes Esther sit with rapt attention when she goes to the theater as a young woman. Just as Desplechin never allows the audience to understand what it is that fuels Esther to begin her career as an actress, he also keeps her motivations obscured as she continues to develop. When her mentor (Ian Holm) claims she lacks the life experience to express that ever-elusive truth on the stage, she launches herself into what is clearly a self-destructive relationship with a foreign literary critic, seemingly with the express intention of getting her heart broken. The audience can never be sure whether or not she is only dramatizing her relationship because she feels she needs to develop as an actress. In the film’s stunning final set piece, she is afflicted by a severe case of stage fright as she attempts to play the title role in Isben’s Hedda Gabler. Attempting to determine whether the offstage trauma that she’s undergoing is genuine or an extreme form of method acting becomes the film’s dramatic crux, and it’s more than enough to hold the viewer’s attention. Esther’s art simultaneously becomes a mechanism for her to cope with life and a catalyst for a dehumanizing thought process that forces her to dissect each of her life experiences, searching for some stage fodder in each of them. It’s in her sacrifice of self for her craft that her accomplishments (which the film tells us of, but frustratingly never really gets around to showing us) inspire the greatest admiration. Esther’s extremism surely can’t be representative of the craft of acting, but perhaps that’s what elevates her to her purported greatness. It’s too bad that Phoenix’s performance doesn’t exactly feel as if it came from that sort of hard-won internal struggle, but its adequateness in conveying Kahn’s complexities keeps the film from ever floundering.